High performance in terms of efficiency. Precision cutting results are the top priority for slicing. Hygienic and time-saving cleaning thanks to the open design. Efficiency and convenient operation. Made in-house of high-grade stainless steel; the focus is on hygiene and safety. Flexible application; space-saving design. They eliminate all human contact with products. The result: improved food-safety and significant cost savings. 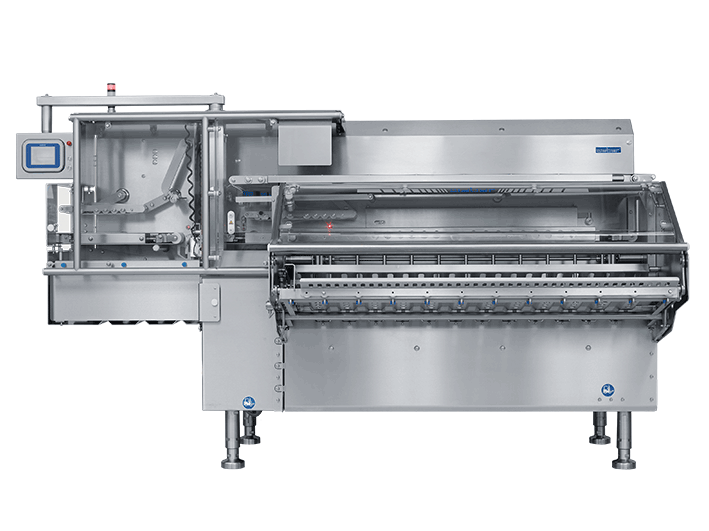 Automating peeling processes for meat, lunch meat and cheese products. Using a buffer before and after peeling allows continuous production. The diverse applications of Weber scan technology help increase the product yield for all kinds of applications in food processing companies. Weber Durablade® involute and circular blades give you the best cut at all times: with maximum hygiene, slicing quality, resilience and durability. Weber sharpeners for all Durablade® circular and involute blades. Best sharpening results, extended lifetime.